Good things are happening with Google Voice. While the app normally stays fairly quiet, the last few months have shown a lot of positive attention is going into the service. The surface-level changes in this update aren't too major, but a teardown shows that users will soon get a vastly improved voicemail system that features on-device recording and support for multiple messages. A look through the latest Google Voice doesn't appear to bring much in the way of changes, but there are a few curious tweaks to the text visible in Settings. The screenshots above include two changes. 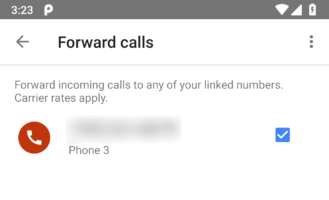 The first is right at the top of the list where it used to say "forward calls to linked numbers," which now simply reads "incoming calls." 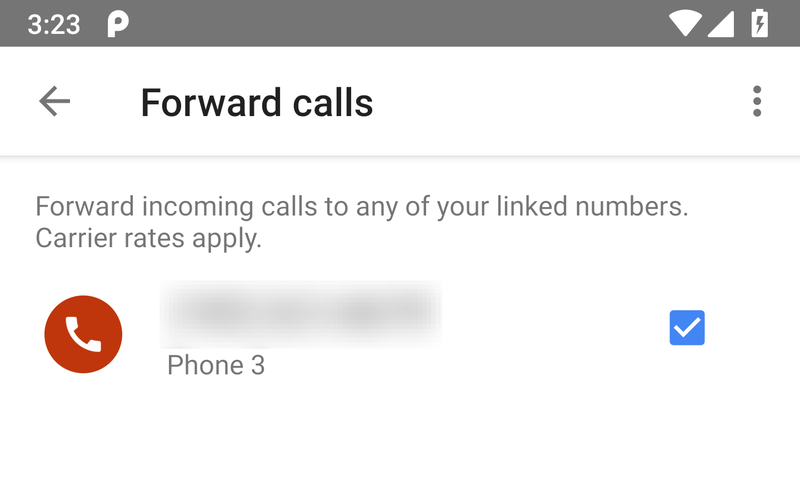 The reason for this seems to be that you're not so much forwarding calls as you are directing where they'll go in the first place. That might be a distinction without a difference, because this appears to just be a change in labeling rather than function. The other change is to the text of the incoming call options. There used to be three commands listed, but it seems conference calls have been removed from the list. 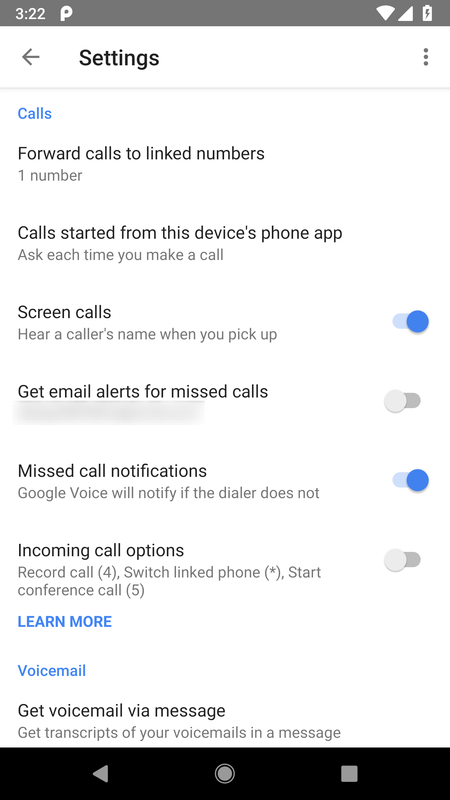 Call recording and switching to a different phone are still mentioned. There also happens to be a small change to that same screen that just had the rename mentioned above. Instead of just showing the phone number for a linked phone, it now detects the name of the phone and displays that instead. The phone number is still visible in smaller text below the phone's name. Strangely, while this change was made to the incoming calls screen, it wasn't mirrored to the "forward messages" screen. 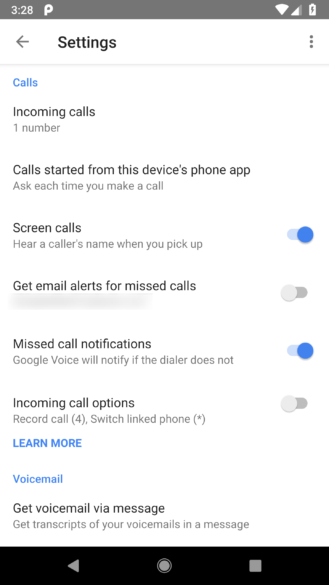 If you're the type of person that likes to change your voicemail greeting frequently, you've probably been a bit put out by the fact that Google Voice still makes you call in to record a new message. 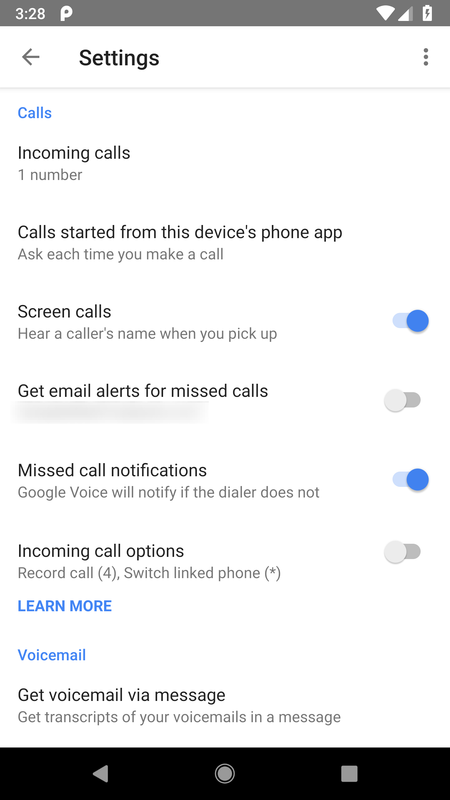 Project Fi makes this experience more pleasant by having the recording function built into the app, so there's no menu prompts or dialing codes to deal with. Google Voice appears to be taking a page from that book and adding its own tool to change your voicemail. Something that sets this apart from many other voicemail systems is that you'll be able to create and name multiple greetings. When you want a different greeting to play, just switch which one is active and callers will get that message instead. This could allow you to have one greeting when you're simply away from the phone for a few minutes and another that plays when you're unavailable for the entire weekend. Note, there's no sign of a scheduling feature, so you'll still have to manually switch the active greeting. 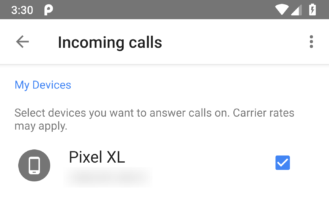 Many Google Voice users have been eagerly awaiting built-in VoIP support for a long time, so it was good news when last month's teardown demonstrated that it's actually going to happen. While there aren't any new details to answer most of the bigger questions, there is one new detail available in this teardown: You'll be able to see how your call is connected. Specifically, there's going to be an indicator showing whether you're connected over cellular data or Wi-Fi. That obviously matters quite a bit if you've got to deal with data caps, so it's probably good knowledge to have. I'm reluctant to include this one since it's probably more wishful thinking than anything, but there were two last strings that got my attention. They point to the possibility that the dialpad will come in two color styles: Light and dark. Beyond that, there's very little to really say, but it would be nice if users could choose how bright their dialer is going to be.